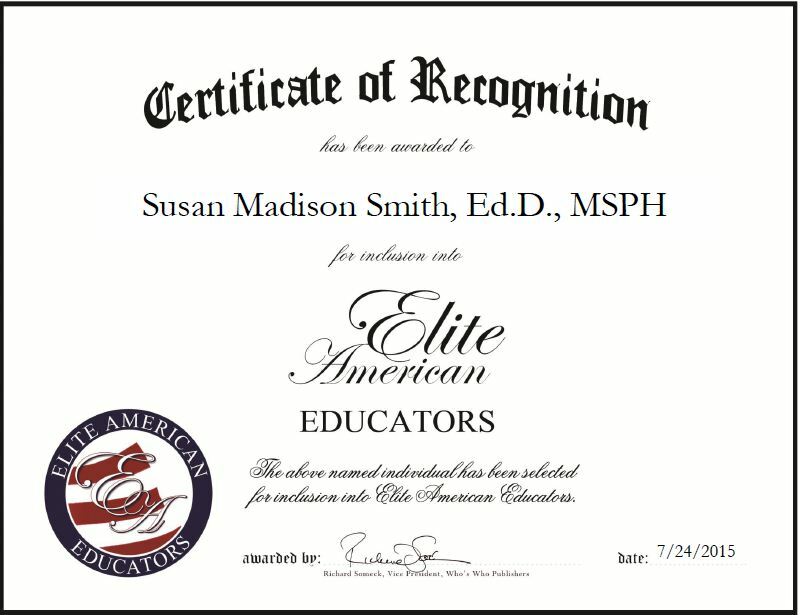 Bloomington, IN, July 24, 2015 Susan Madison Smith, Ed.D., MSPH, Adjunct Associate Professor of Health and Safety at Indiana University Bloomington, has been recognized by Elite American Educators for dedication, achievement and leadership in public health and safety. Dr. Smith has 38 years of professional experience and has been a member of Indiana University Bloomington’s staff for nearly a decade. An expert in disaster response, emergency management and outdoor recreation safety, Dr. Smith serves as a member of Indiana University’s safety unit, health promotion unit, and she works within the department of applied health sciences within the new Indiana School of Public Health, Bloomington. She also teaches injury prevention and emergency management, conducts research, and analyzes policies regarding the emergency evacuation of high-risk populations. 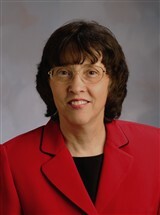 A holder of a level III certification in homeland security, Dr. Smith is the author of “Disaster Response: Community Mental Health Service Capacity in the United States” and “An Incident Safety Officers Critical Role in Response Operations.” She is also a graduate faculty member of the University of Tennessee, where she and her graduate students created the 10-point checklist for emergency preparedness. This checklist is used by many schools and other private and public institutions. Dr. Smith attributes her success to her love for her profession, commitment to safety and public health, and desire to share knowledge. This entry was posted in Higher Education and tagged author, disaster response, emergency management, evacuations, public safety, safety. Bookmark the permalink.